Ab initio quantum mechanical computations based on the density functional theory in the local density approximation, together with plane-wave pseudo-potential formulation, offer an efficient and rigorous method for computing materials properties. Quantum MD simulation method of Car and Parrinello did not change the essentials of such computations, but offered an enormous increase in the efficiency of the method, hence making much larger pieces of materials accessible to such computations. As a technique for studying materials at the atomic scale, molecular dynamics simulation has been used for several decades. 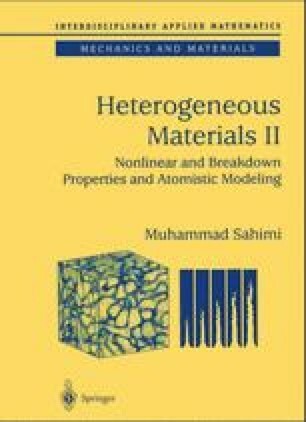 However, development of vector computers and parallel machines, and hence vectorized and parallelized computational algorithms, together with derivation of accurate interatomic potentials, have made MD simulations a powerful tool for studying materials at atomic scales utilizing millions of atoms and molecules. These two computational strategies have enabled us to investigate and accurately predict various properties of materials. We believe that when one or both of these methods are joined with the multiscale approach that will be described in the next chapter, the possibilities for accurate and efficient optimal design of materials with specific properties may be limitless.